The social network started in 2010 and had a huge impact on how we are sharing pictures by putting fun looking filters on them today. Square shaped snapshots have become the new normal in mobile photography. All due to the rise to fame of one single app. By now there are almost 100 million pictures shared and posted daily by the 1 billion users worldwide. This is an incredible reach that businesses all around the globe can leverage to their benefit. That’s why there are already over 15 million business accounts on Instagram. As it is the perfect way to make your product or service pop up in a user’s feed. Businesses use Instagram for very engaged and personal marketing efforts. All possible without having to spend insane amounts of money for ads and promotions. Yet still being highly effective and successful. Just download the app and create an account. If you want to create a business account (recommended) you need a Facebook business page that you can link the profile to. Consistency and continuity across your different social media marketing channels help a lot. This is how people find you. Choose a profile picture that makes it easy to recognise your brand. A logo is usually suited to do this job well. The username should be relatable to your brand as well. Simply use the one that you are using elsewhere. Your bio is restricted to 150 characters but still offers a good opportunity to show off who you are right away. Adding in a call-to-action (CTA) is advised as this is the only part of your profile where you can add a clickable link to your homepage, blog or product. 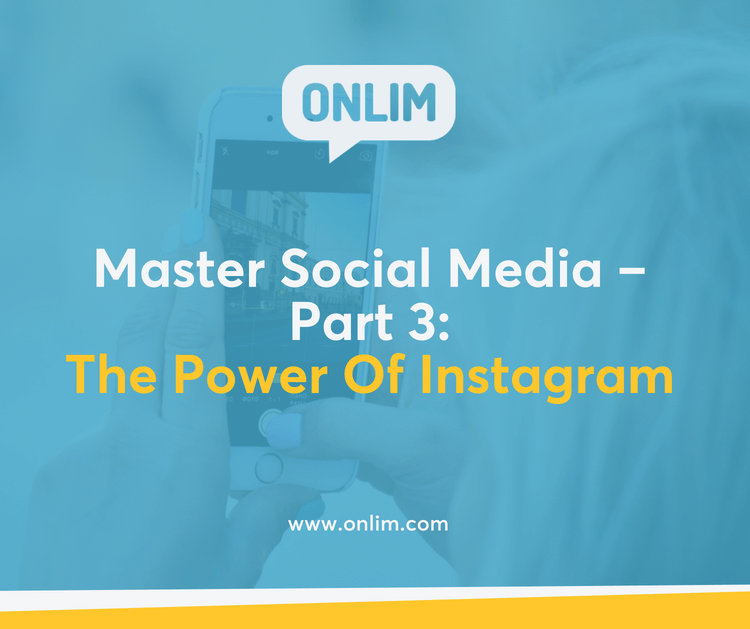 Before really getting started with posting and developing your account it doesn’t hurt to check out some of the profiles of other brands that are successful on Instagram already. How often do they post and what is their unique take on their story? What is the x-factor that makes other profiles successful? There are many different use cases for Instagram. What is yours? Once you have figured out your goals it is time to start working towards them. This is your strategy. Find a theme for your content – what is your core benefit behind your service or product and how is it communicated best? Establish your look – is there a certain visual style that fits– if so stay with it, consistently. What content works best on Instagram? Stay true to your style but mix it all up a little. Otherwise it gets boring quickly. Stories are a good way to post in a higher frequency than you would want to on your feed. Image quality is that important here (but still a little!). Fun and uniqueness are more of a priority. Stories are pictures or videos put together in a little stream. Allowing you to let people in on your business shenanigans. Certain options are only available when you pay for them, for example the option to add CTAs to your posts which is a huge plus. When running ads, you want to make sure to measure their effect in some ways. Instagram has some insights but not on the level of Facebook. Still, you will get some input on how to adjust your strategy. With a few corrections here and there and our social media marketing tips for Instagram you will be able to create successful social media marketing strategy for Instagram.